6th Year – Fintan Dowling, Adam Griffin. 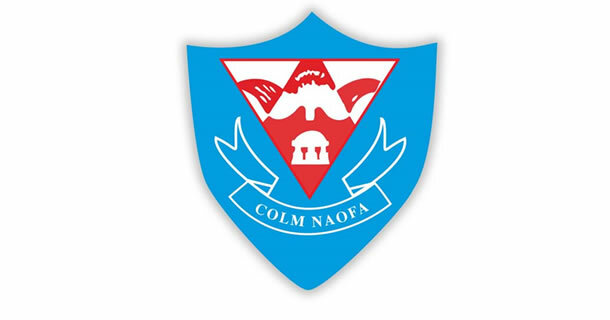 The current members from 6th Year - Seán Gannon (President), Cathal Brennan (Vice-President), Barry Cleary and Rajah Thomas remain on the council and the council will consider some co-options this week. Well done to all those elected and to everyone who stood for election. A full meeting of the council will take place this Wednesday at little break in the Meeting Room. The council will begin preparations for the annual Senior Citizens’ Christmas Party to be held here in the school on Tuesday, 11th December. Science Quiz: Congratulation to Liam Óg Delaney, Mark McConnell and Aivan Jose for their participation in the ISTA regional table quiz in Athlone and who narrowly missed out in progressing to the final in Trinity College; the boys came 5th out of 32 entrants. Senior Soccer: Congratulations to the senior soccer panel who beat Strokestown C.S. 4 -1 on Monday and now progress to the West Leinster League final. First Year Football: Well done to the 1st Year Footballers. Over 30 1st years represented Coláiste Choilm yesterday in 2 games V Moate CS . The Red team won by 4 points and have qualified for the final of their competition while the Blue team put in a great performance but came up second best against a strong Moate team. It’s great to see so many involved and the future of Gaelic Football is bright in the school with these young footballers. School Show: Rehearsals for all first years involved in the show on Thursday (tomorrow) lunchtime.